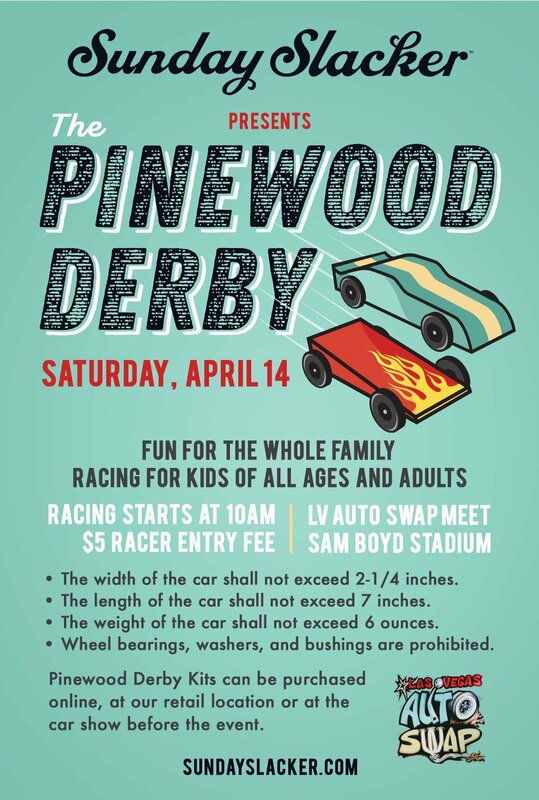 Pinewood Derby Kits can be purchased online or at our retail location. No time to build your racer, we will have some for purchase at the event. General Admission Is $10.00 , Women And Children Are Free. Bring your Classic, Hot Rod, Kustom , Lowrider, Import, Truck, Muscle Car and Motorcycle. Vendor Spaces, Car Corral, Car Show And General Admission Is Now Up For Pre-Sale For Our April 14th Swap Meet On Our Register Page.